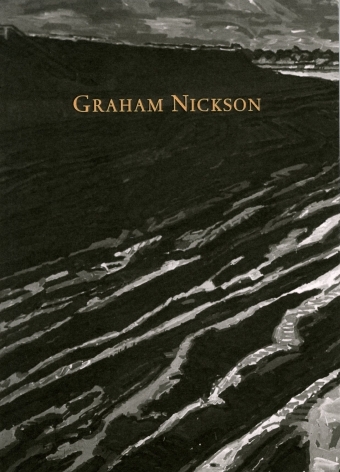 Betty Cuningham Gallery is pleased to announce an exhibition of paintings and works on paper by Graham Nickson. This will be an artist’s second exhibition with the Gallery, located at 15 Rivington Street, New York, NY. The artist will be present for an opening reception on Saturday, November 4, from 4-6 PM. Nickson, who has shown in New York since the mid 1970s, is particularly identified by his highly saturated color, his clear, structured drawing and the heroic scale of his paintings. On view in the current exhibition are 5 paintings that span Nickson’s four decade career: Tracks, 1982-91, which is the largest in the show at 16 feet long, Departure, 1977-94, Bather with Reflector, 1982-83, Red Cloud 1982-84 and Maine Grey: Yellow Jacket, 2017. Often painting and repainting each work over several years, Nickson locks his subjects – beaches, bathers, sunsets and even tracks in the sand – in taut geometric compositions and intense color. The same strong composition is apparent in the 7 works on paper (2 charcoal drawings and 5 watercolors) which complete this exhibition. Nickson was born in Lancashire, England, and completed his studies at Camberwell School of Arts and Crafts (BA) and the Royal College of Art in London (MA) in 1972. Nickson has been the recipient of the Prix de Rome (1972–74), The Harkness Fellowship at Yale University (1976–78), the Guggenheim Fellowship (1989), and the Ingram Merrill Fellowship (1993). Solo exhibitions include Graham Nickson: Private Myths at the Naples Museum of Art, FL (2007), Graham Nickson: Works from Private Collections at the Boca Raton Museum of Art, FL (2006), and Meeting and Passing at the Lillehammer Art Museum in Norway (2007). His work can be seen in the Metropolitan Museum of Art, New York, NY; the Museum of Modern Art, New York, NY; The Morgan Library and Museum, New York, NY, National Gallery of Art, Washington D.C.; Fogg Art Museum at Harvard University, Boston, MA; The Albright Knox Gallery, Buffalo, NY; the Frye Art Museum, Seattle, WA; Yale University Art Gallery, New Haven, CT; and the Lillehammer Kunstmuseum, Lillehammer, Norway among others. 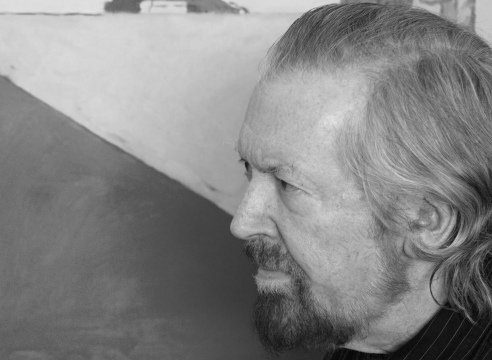 He has been a faculty member and Dean of the New York Studio School of Drawing, Painting and Sculpture since 1988. The artist currently lives and works in New York City. The exhibition is accompanied by an illustrated catalogue and will remain on view through December 22, 2017.